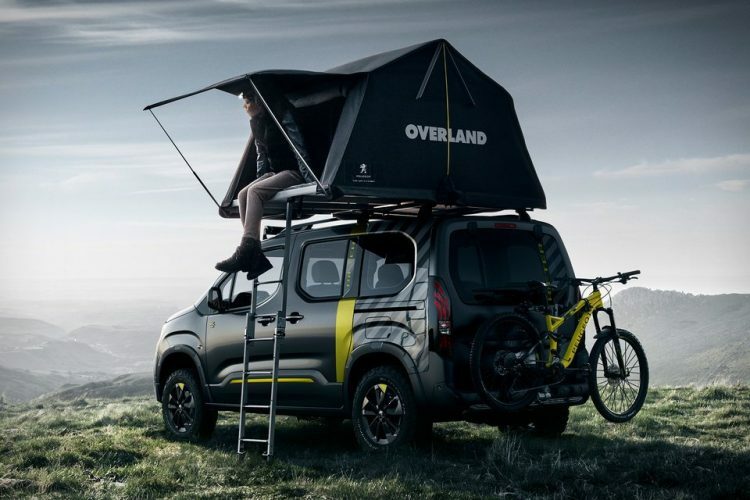 Peugeot came up with a great concept for camping and outdoor living enthusiasts as it presented its new car – the Rifter made especially with the modern nomad in mind. The 4×4 car has a platform on its roof that is used for setting up a tent on it. A small ladder will take the adventurer to its sleeping grounds, the Overland tent, safe from the elements. The Rifter has a four-wheels Dangel drive system, LED lights for night-time illumination, a BlueHDi 130 engine, a manual six-speed gearbox, and all-terrain tires. The design is interesting, as it is a mixture of a typical 4×4 terrain automobile and a minivan, with the yellow and striped color patterns resemble a taxi service. But the car is still a concept, for now, but has been presented at the 2018 Geneva Motor Show, so the specifications are not final. Would you like to own a Peugeot Rifter in the future?